Currently #30 on the New York Times Best Seller List!!! 1st Edition Printing is SOLD OUT! 2nd Edition Printing is now ready after ONLY '2' WEEKS AFTER BEING RELEASED!!! MY REVIEW: EXTRAORDINARY! BREATHTAKING! This book is SUCH A DELIGHT! I have never read anything so loving in my life. The bond all the characters have to each other in this book is not come by every day. This 'is' what this book is, it is about LOVE. 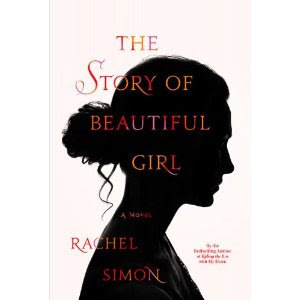 The FIRST CHAPTER of this book is available on the Author's Website, which is: www.rachelsimon.com Go on over to her site and read it. Trust me, I would NOT steer you wrong! It IS worth your time! As you read this first chapter alone, this book is captivating, spellbinding. It draws you right in and you can't put it down, but ONLY for the demands of life. Even then, if you can get OUT of the demands of life - do it! I would plan on that! This book outshines ANY OTHER BOOK I HAVE EVER READ so far! Since you read the first chapter, we know Lynnie had a baby and she gave it to The Widow. We know that Lynnie spoke two words to her, which were "Hide her." Now we want to know if Lynnie gets in trouble at the institution or if she gets out of the institution she is in? Does #42 survive the chase? Does he get away? Does he get to Lynnie? Does the Widow continue to care for the baby? How is the baby and how does the baby grow up with a widowed, retired, school teacher? Does the Widow continue to care for the baby? Does she give it to Foster Care? How is this arthritic retired widow able to meet the demands of this newborn baby? Can she keep up with the baby? Can she keep up with the baby once it becomes mobile, if she keeps the baby? Who will help her? Are they all reunited? WHAT HAPPENS??? You keep reading and can't stop! Rachel Simon writes this in such a way you NEED to know MORE! You want the book to go faster, but then again you don't because you want to savor EVERY word of this book! One of Rachel Simon's other books, "Riding the Bus with My Sister", was made into a movie by Hallmark Hall of Fame. "This book" could make the BIG SCREEN! I don't say that lightly. Rachel has written the 'most' riveting book out there! DON'T MISS THIS BOOK! Get it TODAY! You CANNOT WAIT! If you do, you only have yourself to blame! Make sure you have enough time to read this book over a weekend, at least! Don't take it to the beach, take it somewhere nice and comfy, where no one will bother you. Settle down with your favorite coffee or tea, and enjoy this to no end! This book WILL stay with you to no end! It may change the way you think! Divine! Breathtaking! There are not words enough to describe 'how' wonderful this is! Again, I don't say this lightly. What a fabulous review. And the audiobook, too! I can't wait to listen. This is a fantastic book review. You've intrigued me with it. I'm going to have to go check out the authors site. It sounds like a wonderful story. I would love to read the book.